$50.00 registration fee for non-APlus members, includes an APlus T-Shirt (a requirement for all campers), plus a white uniform. $30.00 registration fee for all current APlus members, includes an APlus T-shirt. ALL PAID FEES ARE NON-REFUNDABLE! Our summer camp program ends at 6:30pm. 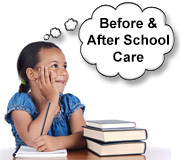 We encourage all parents to pick-up their children between 4:30pm – 6:30pm. – Intensive Martial Arts Practice: Taekwondo Form, Sparring, and Self Defense Technique. – Discipline, Concentration, Character Building Practice, and Physical Fun Games. – Martial Arts Life Skills: Focus, Respect, Consistency, Goal Setting, Self Control, Loyalty, Cooperation, Enthusiasm, Perseverance, Confidence, Responsibility, and Leadership. Current Aplus Members: 5 weeks or more ($169.00 / week) 1-4 weeks ($172.00 / week). Non-members: 5 weeks or more ($172.00) 1-4 weeks ($177 / week). 10% off for a 2nd family member and 30% off for a 3rd family member. We offer: Transportation for all A.A.CO. Schools, Help with Homework, and Martial Arts Lessons (Taekwondo) three days a week. There is also a spacious workout floor area to play kickball, jump rope, and other games. 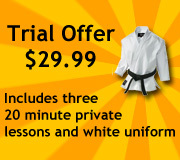 For $29.99 you will receive three private lessons with Master Lee and a white uniform. This is the perfect way to try out Taekwondo for all ages. You will learn Taekwondo kicks, your first form, and board-breaking. After the third lesson you will receive your white belt.